Orbital welding of piping and critical tubing is essential and of the greatest importance for industries such as Semiconductor, Biopharmaceutical, Food and Beverage and many other manufacturing industries. At G&S Stainless, we understand that imperfect welds can cause many issues and delays in these manufacturing industries. When product purity matters, manufacturers rely upon technologies such as orbital welding to provide the specialized services necessary for a top quality weld. 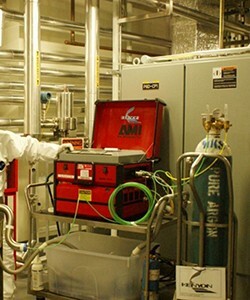 G&S Stainless Services operate industry leading AMI Orbital Welding equipment. Using this latest state-of-the-art technology and trained craftsmen we can meet or exceed industry's most rigorous demands for clean, validated and reliable piping systems. We offer an orbital welder on a machine hire only or complete with a trained operator. 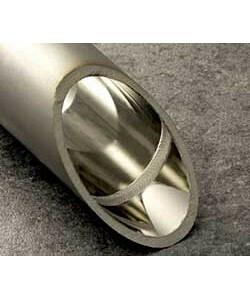 Orbital Welding is ideal for high purity piping systems and clean room environments. It can be controlled and monitored to provide smooth, crevice-free welds. These high quality welds are essential for the flow of clean and sterile products used in industries such as Biopharmaceutical, Food & Dairy, Brewing & Beverages and Chemical Industries. To find out more about these services please don't hesitate to contact us.